the adventures of tartanscot™: "L.A. Story - Windsor Smith . . . "
"L.A. Story - Windsor Smith . . . "
Well - let's start our tour through some of my favourite Los Angeles designers with the perfect combination of style and charm. Windsor Smith. I had the great pleasure of meeting Windsor last year when I was down in Los Angeles - and I can assure you that her gracious designs are matched by her charming personality. 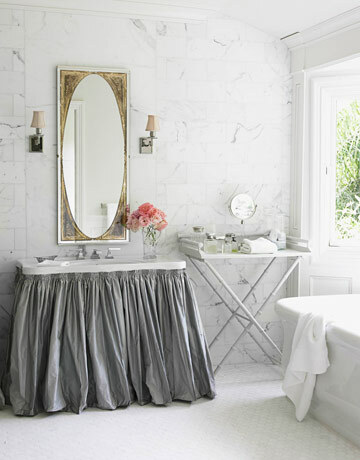 Her LA home was recently featured in House Beautiful - enjoy a peek into this glamorous space . . . bright. balanced. chic. "For a dinner party, the chandeliers are lit very low, and all the silver sparkles. You feel as if you're eating in a fine restaurant, yet you're at home. People feel so relaxed. We linger for hours"
It is all very attractive. 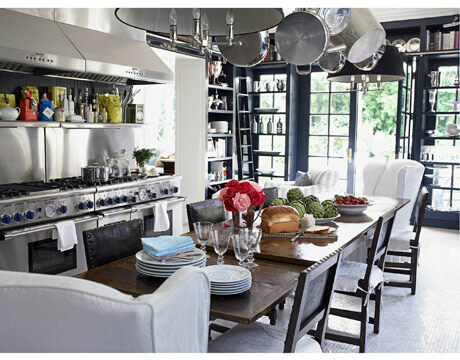 Dinner parties right by the stove could be fun, with the cook/waitperson not missing out on anything. Love her work, and this is my all time favorite kitchen! Love. I love her home, especially her kitchen. OMG! So wonderful. The entry is fabulous too. Scot! I love your style! 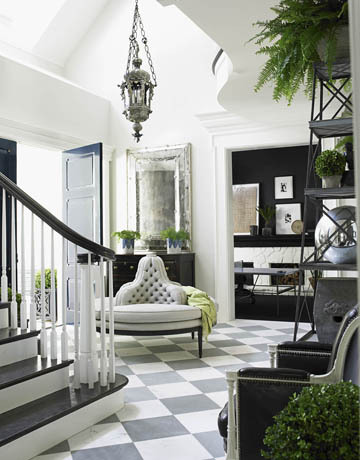 When I first saw the image of the black and white foyer with hits of fresh green in House Beautiful, I fell head over heels:) And that kitchen with the large windows, GORGEOUS! "L.A. Story - Michael Smith . . . "
"L.A. Story - Mary McDonald . . . "
"L.A. Story - Joe Nye . . . "
"L.A. Story - Jeffrey Alan Marks . . . "
"L.A. Story . . . "
"Let it Snow . . . "
"Paper Dolls . . . "
"Town and Country . . . "
"Ralph Lauren Fall 2011 . . . "
"From the Desk of . . . "
"Constant, Total Amazement . . . "
"A Dark and Stormy . . . "
"Shedding Winter . . . "
"Keep Calm . . . "
"Everyone Please Stand . . . "
"Crossing Boundaries . . . "